The University of Greenwich a university proudly applying sustainable development across its activities. We recognise that meeting sustainable development objectives is crucial to our students, our planet and ultimately our future success. The University takes a strategic approach to sustainability, focusing on areas that reduce our negative impacts and continually improve our ways of working. Applying sustainability principles in our estates and operations allows us to operate our campuses efficiently and responsibly. This optimises resource use, minimises spend and ensures compliance and has, for example, enabled us to reduce our energy and waste generation. We also work to integrate sustainability into our teaching and research, and work with our staff, students and our wider community to help raise awareness and drive behavioural change. 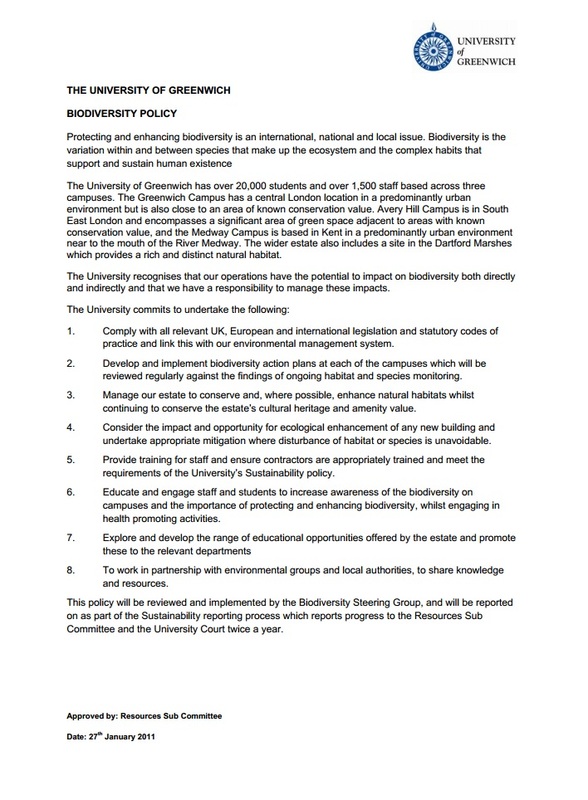 This is particularly important as the decisions and actions we take as individuals collectively contribute to our overall impact on the environment and society as well as the University' running costs. Our most recent Annual Sustainability Report for 2016-17 illustrates key progress, including cutting carbon emissions by 44.5% since 2005 and reducing waste generation by 250 tonnes. It provides details of improvements, actions and recommendations for staff and students to help take action to make our university even more sustainable. Our Sustainability Management Board has responsibilities to help develop and implement our strategy and to help achieve our goals. We work with our Students' Union and students in a range of ways to help them to understand and apply sustainability in their learning, research, work and lives. Our sustainability work is extensive and we would like to share this with you. Visit our sustainability information and support hub to explore what we are doing, and to find information about how you can learn and help us all move towards our sustainable vision.